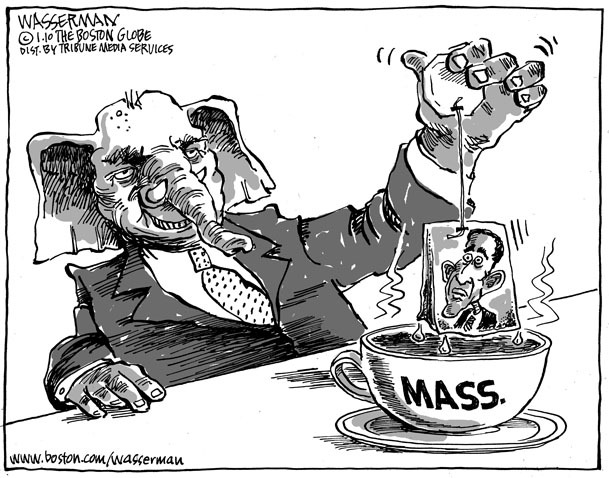 Dan Wasserman has been cartooning for the Globe editorial page since 1985. He has published two collections of drawings, "We've Been Framed" (Faber & Faber, 1987) and "Paper Cuts" (Ivan R. Dee, 1995). His cartoons are widely reprinted and are syndicated internationally by Tribune Media Services. He draws more quickly than he types.